These truly are treats for tiny hands! My niece looks at me with those great big blue eyes and says ‘pease’………….’pease’ and I know she wants an ‘ocolate drop’ which she will proceed to spend the next 15 minutes consuming in order to savour the flavour for as long as humanly possible. These are her special sugar free, dairy free little indulgence which is important for my little niece who suffers from eczema and as a result can’t eat dairy. Originally they were made by request when my sister needed that ‘little something ‘ extra special for her to aid with – dare I say it – okay - potty training. They have since become a family favourite and in this age when we want our children to be healthy and are faced with the very real fear that children as young as five are beginning to show signs of starting heart disease, a fun, healthy alternative to the chemical loaded products that we find on our shop shelves is so important. 1) Melt the cocoa butter in a bowl over a saucepan of boiling water. 2) Remove from heat and mix in the cocoa powder and coconut sugar. 3) Add all the other ingredients and stir until smooth. 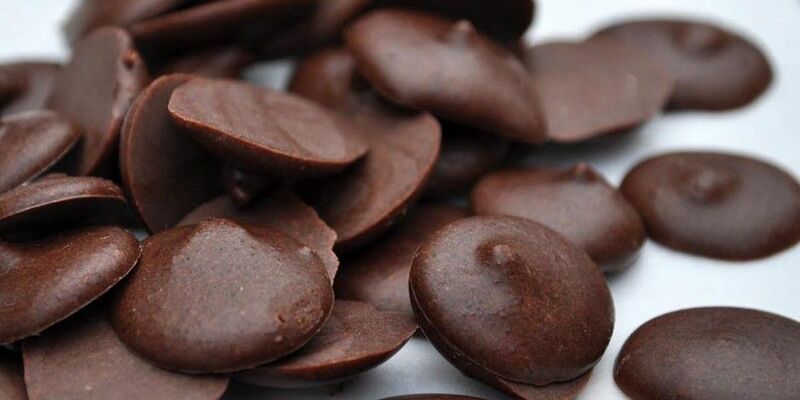 4) On a sheet of waxed paper use a 1/8 tsp to spoon out the mini chocolate drop.